This simple microcontroller project build to create a keyboard hack that is smaller and cheaper and better reproducible than what one would get when hacking a keyboard circuit. a perfect solution for when you only want to use one switch in your prototype. 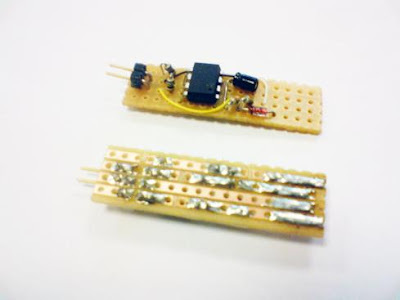 The project utilize ATTiny45 as main controller. This 1-Key-Keyboard Project can be plugged into any computer and will be recognised as a standard USB keyboard. When closing the switch, the keystroke ‘]’ will be sent. When opening the switch, the keystoke ‘[’ will be sent.